Caption slip reads: "Photographer: Lapp. Date: 1954-09-30. Reporter: Brown. Assignment: Culver City gambling ordinance. 7/8: Rev A.J. Gray, minister of West Culver City Baptist Church. 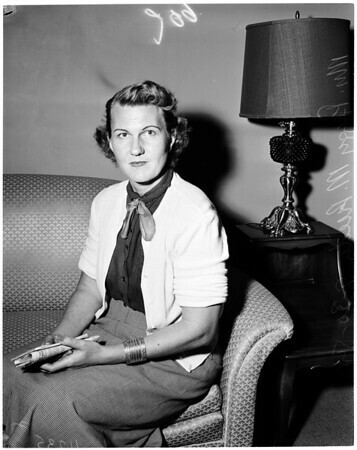 59/60: Mrs. Peggy M. Riedy, Culver City Council of Parents and Teachers member. Monday".